In 2008 the postal authority of Botswana issued a set of 5 stamps to commemorate the 40th anniversary of their national museum and art gallery. 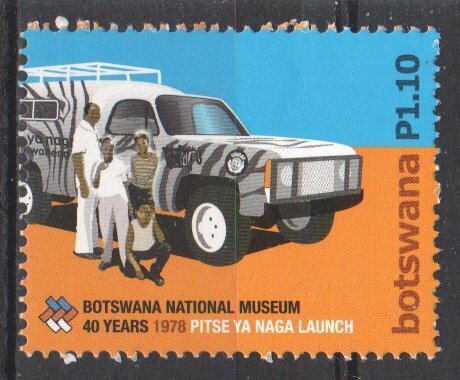 The museum was established by an act of parliament in 1967 and is located in the Botswanan capital of Gaborone. For the 40th anniversary the museum mirrored the International Council of Museums banner of "Museum as Agents of Social Change and Development"
On November 30, 1980 the island nation of Cape Verde issued 5 ship themed stamps. The stamps were printed using lithography and were perforated 12.5 x 12. 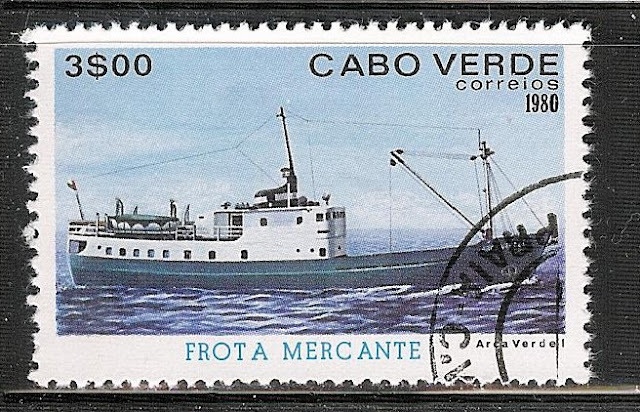 Inscribed "Flota Mercante" the stamps were issued to commemorate the Merchant Fleet serving the islands. On the 3 Escudo stamp the Arca Verde is pictured. She was built in Norway and completed in 1955 as the Herlaug II. Powered by 1, 8 cylinder BMV diesel engine producing 400 bhp and capable of carrying 150 passengers.